It’s almost 3 months until we zoom off to Disneyland Paris and I can’t wait. 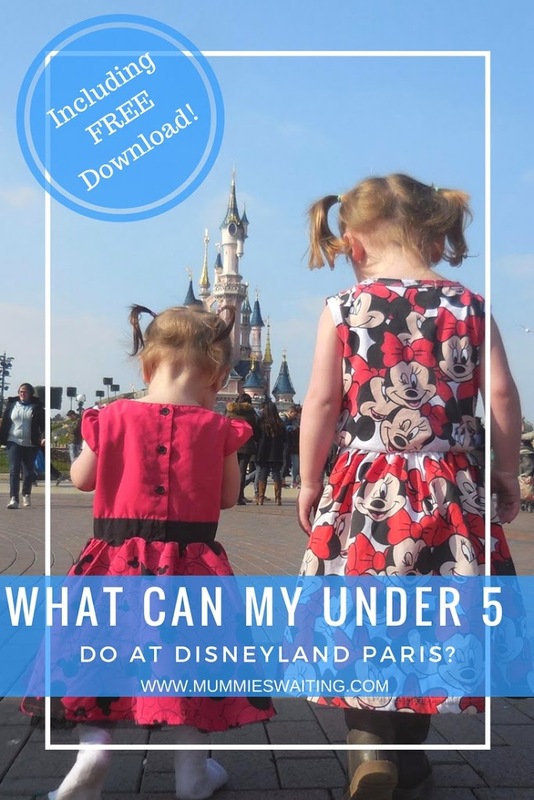 I often get asked what can under 5’s do at Disneyland Paris and usually I will just direct people to this post I wrote What can my child ride at Disneyland Paris?. However today I thought I’d talk a little bit more about exactly what they can do overall and why the girls love it so much. 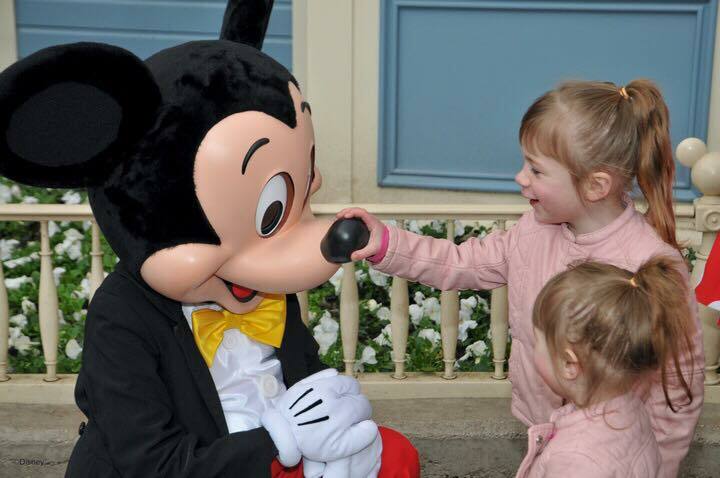 Disneyland Paris is a family adventure, there are places to run, climb and laugh. I lose count of the amount of happy tears I shed both during our visit and after. There is just something so magical about seeing the lights on the castle and hearing that amazing music, but NOTHING will top the first time that your child meets their hero. A character that they truly love and believe in, that smile, that emotion, it’s a memory to live for. For Kairi, this was in 2015 when she was 23 months and Naminé was around 6 weeks! We had been at Disney for around 2 days but hadn’t really stopped to do any character meets unless we just bumped into them. But on this particular afternoon, we had entered the Walt Disney Studios park and had seen a ring full of characters (Stars in their cars it was called). So we walked over and waited at the fence and the characters started to go round, Kairi could see Minnie and her excitement was amazing! Woody came by and greeted us, my niece (who was 2 at the time) loved it, then Emille from ratatouille came, finally it was almost our turn to see Minnie, but as another 2 families had pushed in between us, we had to wait a bit longer. All of a sudden the music started to play, it was a cue for the characters to finish talking to the family they were with and leave. We were so upset, we pleaded Minnie to just wave and she came straight over and gave Kairi a hug and a kiss (I’m in tears now writing this!). Kairi’s face was amazing, a memory that I will never forget and clearly still makes me emotional every time I think about it. I have never said thank you to a charter so much in my life, that moment was amazing. All the other character meets during the holiday were so much fun too, we met so many characters and Merida even sat on the floor and held Naminé which made for an amazing photo. The park is full of places to go to, there are walks in the trees and caves, adventure play grounds themed for pirates and Pocahontas, so many shows to see. I wasn’t sure Kairi would sit still for the shows, but I didn’t need to be worried, there was so much going on that she just sat there amazed. Then we visited the Mickey Mouse Club House show, it was just like being with Mickey and all his friends. We danced, sung, they shot out ‘leaves’, ‘party confetti’ and even ‘snow’ from the ceiling. The kids were amazed and honestly, the adults were too. Waiting for the show hadn’t been an issue either, Disney had this covered. The ‘queue’ was actually the ‘pre-show’, where children were encouraged to get up, dance and have fun. We sang and danced along with Jake from Jake and the neverland pirates, Sophia from Sophia the first and an entertainer with an amazing amount of energy, the kids had such a blast I wasn’t sure the show was going to be able to beat that. But you are not reading this post for all that are you? 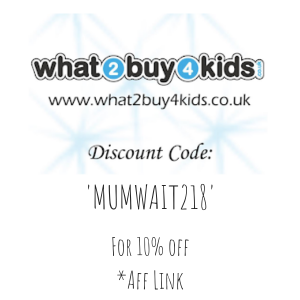 You know you can do shows and walks and you’re probably not fussed about paying to go use another play area. You are here to find out about the rides, the amazing and magical rides that Disney are known for. So I will tell you, I honestly didn’t think that we would be able to do much, I actually regretted booking the holiday knowing that Naminé would be a maximum of 6 weeks old, but I was amazed and astonished once I got there. I couldn’t believe just HOW MUCH we could do! First off there were so many rides that Naminé (6 weeks) could get on with us. I’d say under a year she could do roughly 50% of the rides in the park. For Kairi, who was over a year but under 3.5 (where she reached the next height), she could do around 75% of the rides and 80% once she reached the next height. We rode rides all day long and we still didn’t manage to do them all (this was March when queues are VERY small too). Then there is the child swap, which allows one adult to go on a ride while another waits behind and watches the little one who isn’t old/tall enough. 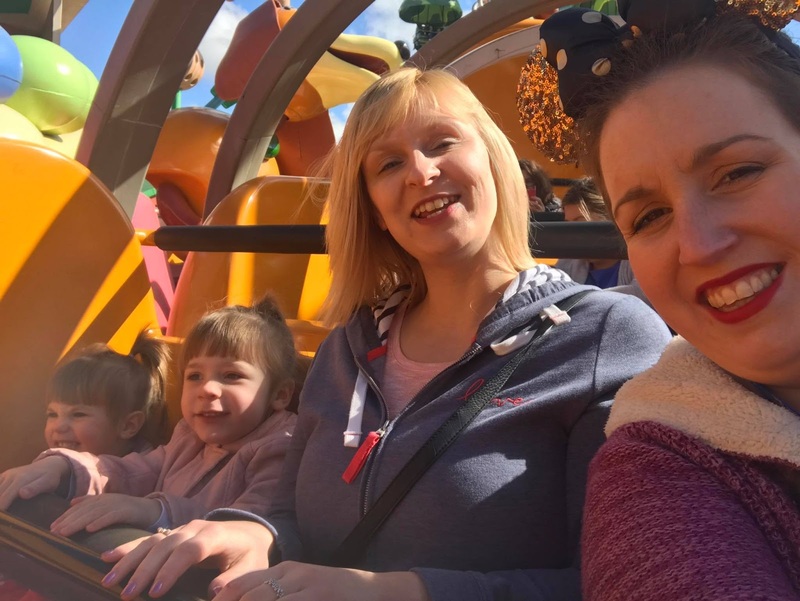 Once the first person is off, they give the second a ‘pass’ to skip the queue and ride straight away so you don’t wait longer than you would have if you could have gone on as a family. 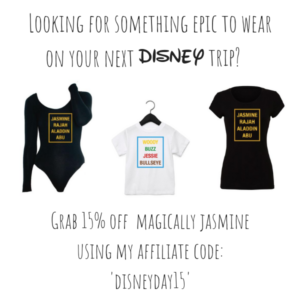 Disney really has you covered! 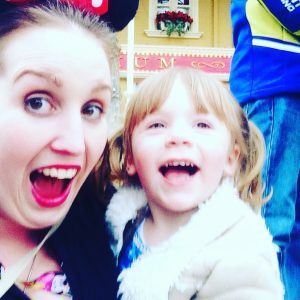 If you want to know what your child can actually ride at Disneyland Paris, I have created a printable which you can grab below (or just save on your phone to read later). 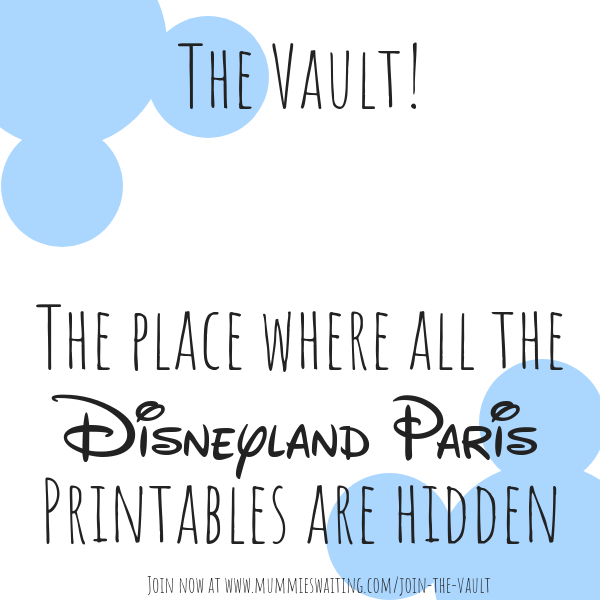 If you are looking for more information on Disneyland Paris then you can find out about Meal Plans, Disabilities, What to Pack and more over on the Disney section of the blog.